The Argentine Government has advanced some data on the agenda. What is happening with this state visit? I read on twitter that it was canceled . I guess the only reason they pull this through before the elections is the congress of spanish language, the Kings would have travelled to Argentina for this event anyway. Two State visits back to back for Argentina! This visit was never canceled, it has always been published that it went ahead. Before the start of the electoral campaign (April 12) the government still has some capacity to work, the problematic period is when the elections have passed and a new government has not yet been formed. The main objective of this trip was the inauguration of the Congress of the Language, an event to which the King of Spain always goes and which is not of a political nature. In addition, Argentina has a large Spanish community and there are many mutual business interests. All this allows them to close a good visit, but without agreements of a more political nature. For example, a trip like the one to Morocco where a dozen agreements were signed between the two countries would not be possible now. On March 26, there will be a meeting between Queen Letizia and representatives of the Ibero-American Alliance of Rare and Uncommon Diseases, among which is the Argentine Federation of Uncommon Diseases (FADEPOF). 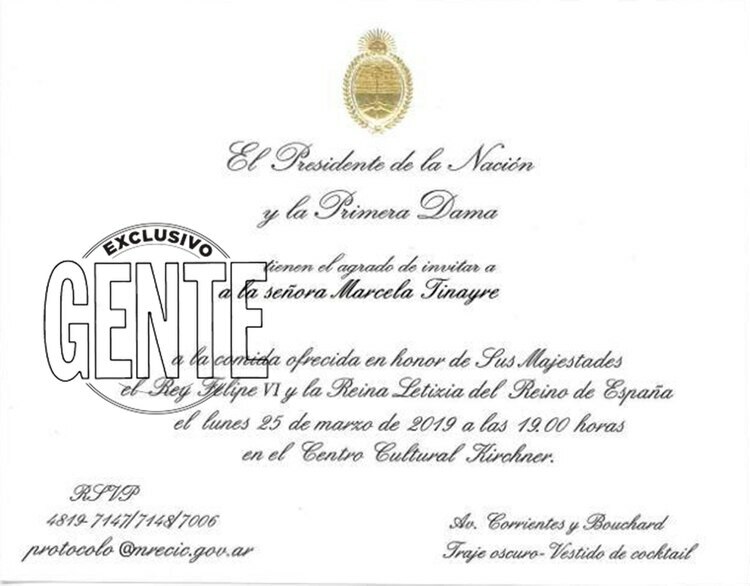 -Meeting of the Queen and the First Lady on "early childhood and rare diseases"
Interesting that for the spanish King and Queen there is a State Dinner and not only a State breakfeast/lunch like for the danish Queen. Lets hope that there will be at last long gowns for the woman. Interesting that for the spanish King and Queen there is a State Dinner and not only a State breakfest/lunch like for the danish Queen. Lets hope that there will be at last long gowns for the woman. I think since the 80s the dress code for state dinners in Argentina has always been dark suit and short dress, it seems highly unlikely they'll change it for this visit when the Danish visit didn't even get a state dinner, and the state visits for the Obamas and Juan Carlos and Sofia kept the short dress/dark suit dress code. Thanks. There goes my hopes. So disappointing. When hosting a King and Queen they should pull out all the stops but sadly thats no longer the case. Queen Letizia and King Felipe had to wait nearly 1hour in plane because they could not find a suitable /high enough stairs. They do look a bit 'over-it'. Got to feel for them. After a very long flight, being stuck on their plane for an extra hour as no stairs can be found, would not be fun for anyone. There are no stairs for big planes at the airport they landed, only for the presidential plane, and the stairs for that plane where in a hangar only accessible through a fingerprint scanner, and they couldn't find the person who could open it. They even thought about sending the airplane to a different airport when they couldn't get to the presidential stairs. It was an organisation mess, I'm sure some people at the airport and the protocol office are going to have a very bad day today. oh my. that sounds like logistical nightmare - what a terrible image to give on such an important ocasion.